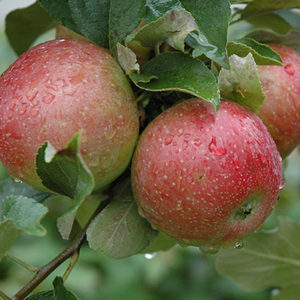 A fine, hardy winter apple. 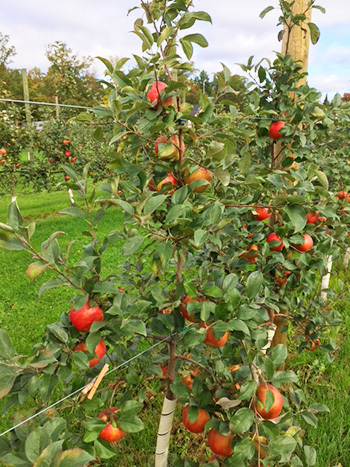 Bright red, tart, juicy fruit will keep until March in cold storage. Firm texture with a complex tart flavor. Good for fresh eating and cooking. 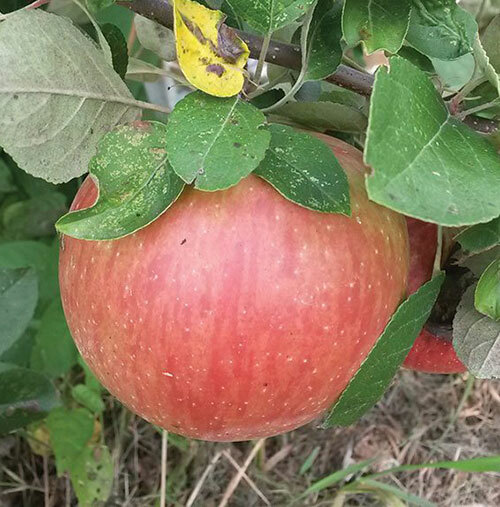 Especially good pie apple. 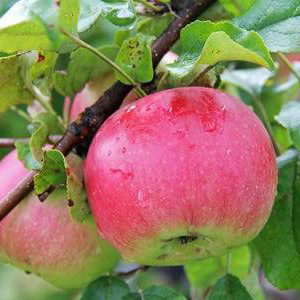 The fruit will store for 4 to 5 months. The tree is of low vigor and easily trained. 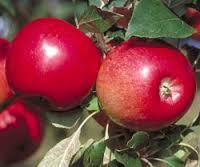 Tends to be biennial bearing.Hard, crisp, tart, very hardy – will not pollinate Haralred or Beacon. 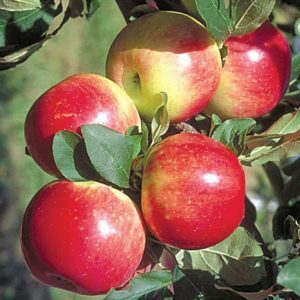 Dwarf apple trees will start bearing fruit 2 to 3 years after planting.